Should a critic cease coverage of a game simply because a developer does not like them? According to one YouTuber, tensions between himself and a developer are pronounced enough to make any potential coverage that developer’s game biased. Things escalated further when later that day, Bain announced that he would no longer continue coverage of Titan Souls. The reason? He felt that knowing that one of the developers had it “out” for him would color his coverage of the game. “I was going to explain the game, say why it wasn’t for me, and then try to look at it from a different point of view—which I tend to do with pretty much every game I cover,” Bain said in a SoundCloud recording where he explained what his initial plans for coverage of Titan Souls were. Bain went on to finger wag Gleeson, claiming that Gleeson’s behavior was not very good PR for his game. The decision is a curious one. Fans of TotalBiscuit might not be surprised, given that the commentator’s brand is very concerned with the appearance of objectivity. Critics of TotalBiscuit on the other hand might wonder if this is a case of Bain being thin-skinned, or a way for him to lash out at the developers over personal squabbles under the guise of objectivity. While personal tensions between an outlet/critic/personality and developers are not exactly rare—anyone who has been in the media/on Twitter long enough can probably name a developer who is not fond of them, or vice versa—politics such as these do not always change an outlet’s coverage of a game, especially not if the readership is interested in the game. 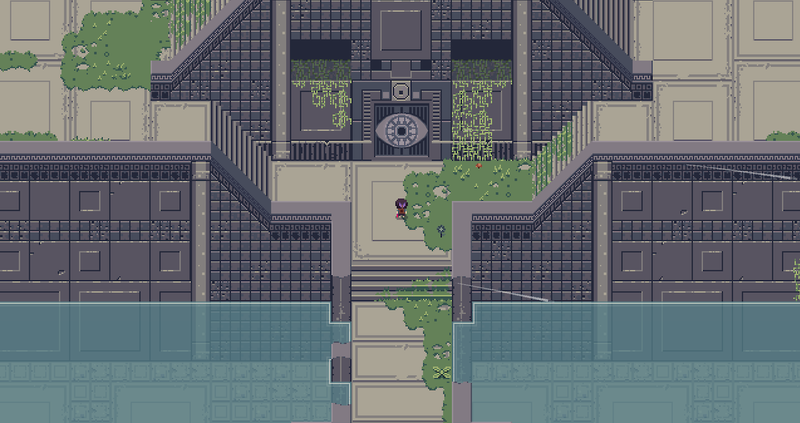 But Bain maintains that Gleeson’s Tweets could have altered his coverage of Titan Souls in a variety of ways. “I could overcompensate and be more generous than I should be in an effort to either make peace with the artist, [to] try to be the ‘bigger man’ or to ‘prove him wrong,’” Bain explained to Kotaku in an email. “Alternatively I could go the other way and be overly critical because I’ve been personally attacked by a member of the development team. Gleeson didn’t respond to requests for comment in time for publication. Throughout his SoundCloud and in his interview with me, Bain expressed concern about being as “objective as possible.” His definition of objectivity seems to be one where outside factors do not negatively cloud his judgement of a game. It can already be dicey enough to discuss objectivity in the context of reporting (At Kotaku, we actually assume that even reporting can’t be objective and expect our writers to simply be clear when they’re veering into the realm of opinion). Objectivity in the context of inherently subjective reviews is an even trickier proposition. Depending on who you ask, the quest for objectivity is either a noble one, or a fruitless one. Some people maintain that objectivity is an impossibility, and the best thing you can do is to be honest about where you’re coming from and what influences your thinking—the audience will take it from there. Some would argue that even if complete objectivity isn’t possible, it’s still worth striving for as best one can. Regardless of where you stand on objectivity, and regardless of whether or not you think Bain was right in dropping coverage of a game because of personal tensions, one thing is certain: if all critics adopted a similar policy, there would be considerably less coverage of many high-interest games on your outlet of choice. We’ve certainly heard about plenty of developers who dislike us, but if we think our readers want to know about those developers’ games, we’re going to cover them, review them and be as fair about it as possible. That said, Bain is a solo critic, and he doesn’t have the luxury of assigning a review of a game to another person on the staff, like a more traditional outlet could. Like I said, it’s all tricky stuff.